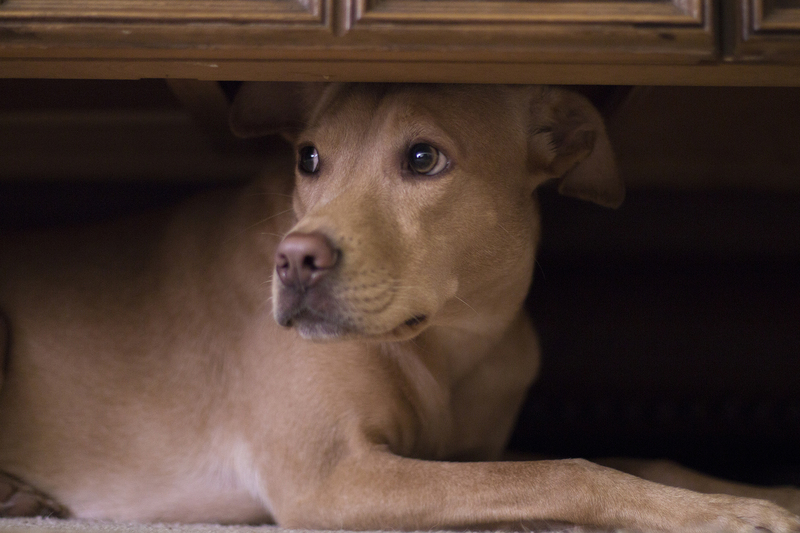 Loud noises and flashes from fireworks and thunderstorms can be scary for our pets. Their sensitive ears can detect frequencies up to 20 times higher than we can. During Bonfire Night and New Year celebrations, it’s common for our pals with paws to display signs of anxiety. You can help reduce their fears with just a few simple steps. Your first reaction may be to comfort an anxious pet by smothering them with cuddles. Although it’s important to make them feel safe, a sudden change in your behaviour could have the opposite effect. Your pet might interpret it as a signal that there’s something to fear. Avoid raising your voice or punishing your pet for their anxious behaviour. Stay calm and behave as you would day-to-day. Ensure your pet is in familiar surroundings and check they can easily access their happy places – where does your pet usually go to relax? Build a covered cubby area or den using blankets and a crate. The extra material will help dampen the noise. Try to distract your pet by engaging in a game. Playing music or switching on the television to mask the pops and bangs can help, too. If you know when the loud noises are likely to start, give your pet plenty of exercise beforehand. Give your canine companion their favourite chew toy to help them relax and divert their attention. Bring your felines indoors and prepare a litter tray to use overnight. An educational service from Boehringer Ingelheim Animal Health UK Ltd, makers of FRONTLINE. ©2018 Boehringer Ingelheim Animal Health UK Ltd. All rights reserved. Date of preparation: Oct 2018. PE2679.